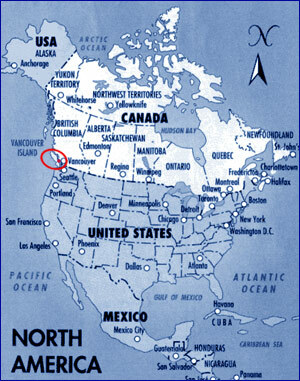 JumpCamp is located one hour North of Nanaimo and 2.5 hours North of Victoria on the Island Highway 19. We are three hours from Vancouver, including a 1.5-hour ferry ride accross the scenic Georgia Strait. From Nanaimo, take the Island Highway 19 North towards Courtenay. 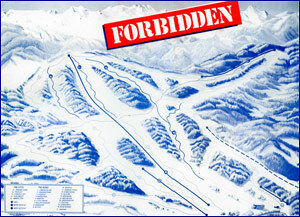 The main access route to Forbidden Plateau is via the Piercy Road exit. Once on Piercy Road, Forbidden Plateau Road is the first road on your right. The gravel road is regularly maintained by the mountain's maintenance department. Respect other drivers and be careful depending on the road conditions. To get to Nanaimo or Victoria from the mainland, you will need to take a ferry. Contact BC Ferries to book a reservation. JumpCamp is located on Forbidden Plateau Mountain just 25kms west of Courtenay. The closest airport to JumpCamp is Comox. The next closest is the Vancouver airport which is approximately 3 hours away. The Mid-Island Express route between Tsawwassen (Vancouver) and Duke Point (by Nanaimo) takes two hours. There are eight scheduled sailings from each terminal daily.